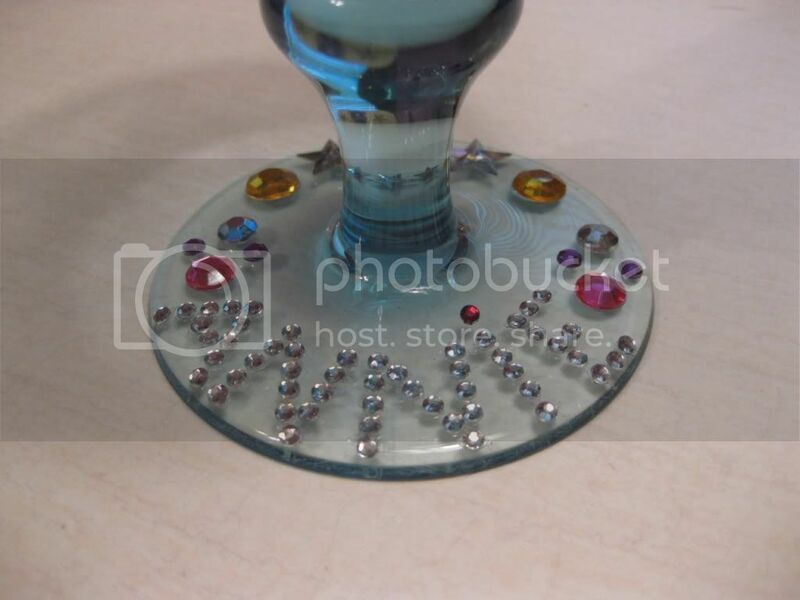 It's actually the world's easiest DIY project, because all you have to do is buy a plastic goblet (this one is a wine glass from Target) and a bunch of self-adhesive rhinestones (helloooo there Michaels!) and you're all set. 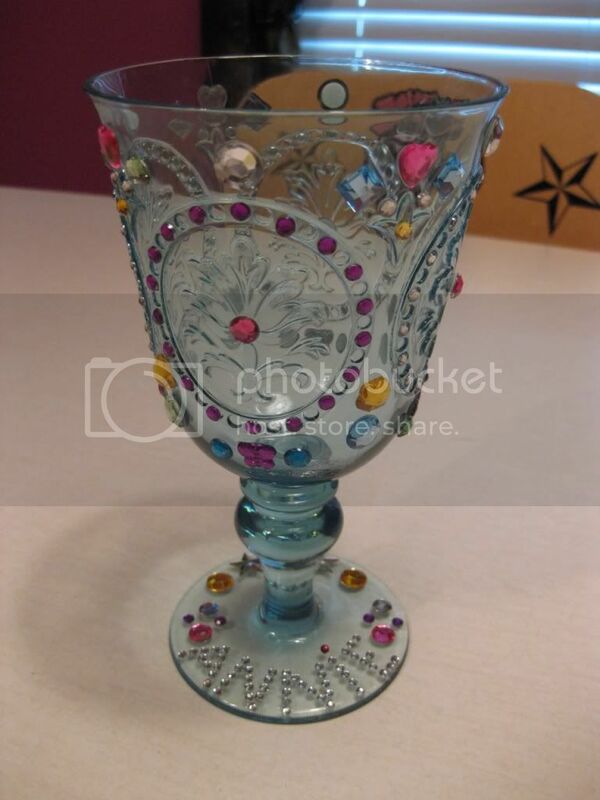 The crunk cup idea started as a joke, but the more I thought about it, the more it seemed like a perfect 21st birthday accessory, as well as an awesome gag gift. I totally free-handed the letters for the name on this, and it still turned out great! The only problem is washing... you might want to just gently wipe the inside... or else bye-bye sweet rhinestone action. How about you? Have any ridiculously easy DIY gifts to share? i love this idea! this would be fun for a partay favor too. 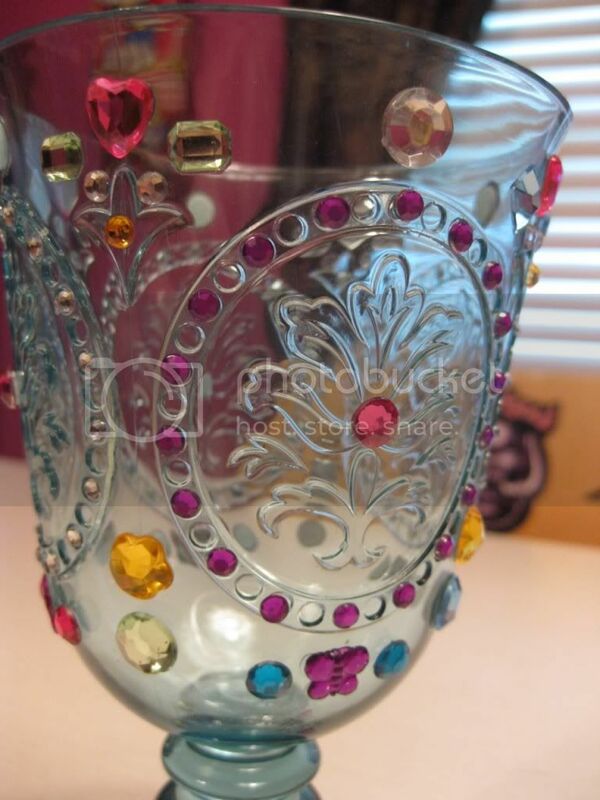 like invite everyone over...decorate your own cup...drink out of said decorated cup...be merry...and take home. Ha! A party favor idea is awesome! Might have to steal that one!